This is a week's full of quick and easy quinoa based lunches. Each day will use one cup of quinoa. 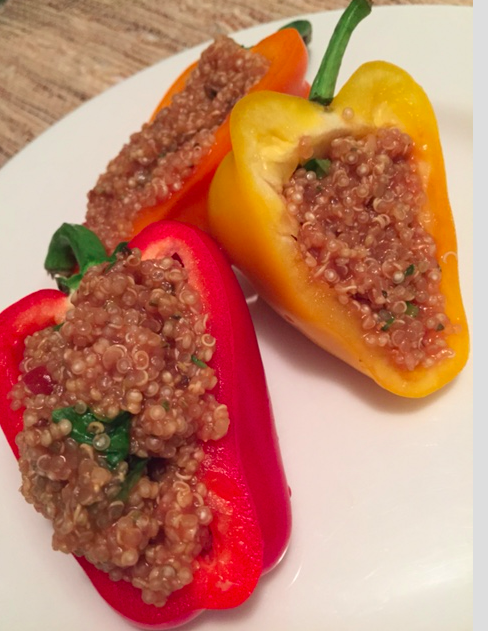 To begin, cook 5 cups of quinoa in vegetable broth and keep in a sealed container in the refrigerator. The ingredients here are those of which you probably already have on hand in your own kitchen and if they are not, they are easily purchased in smaller quantities for single use. Though there is not a lot of cooking involved, as it is more of an assembly, it truly is the crux of my mission, to help you put “A Plant on Every Plate” by making plant-based meals approachable, affordable and accessible. I hope this helps you.